It’s Travel Tuesday. 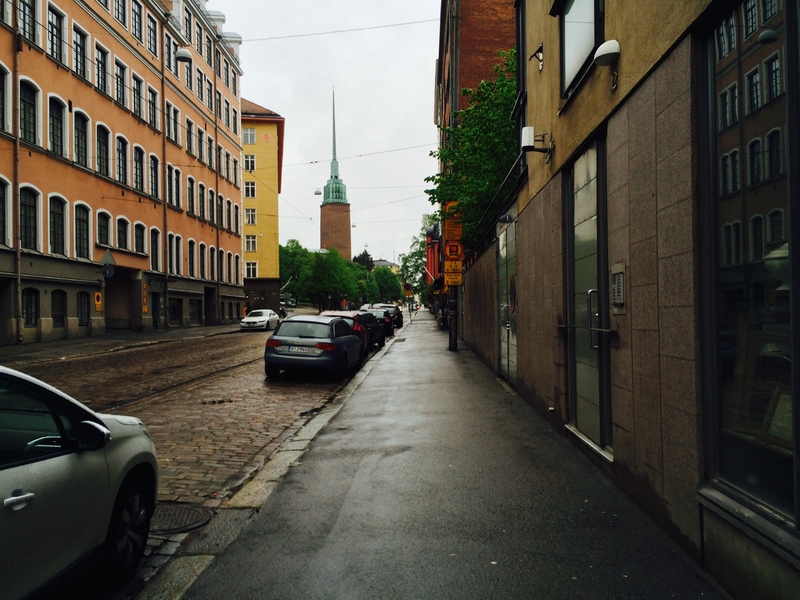 Our cool autumn weather feels like an overcast Spring morning in Helsinki, Finland. The ship arrived in port and this traveler was oh so ready to set feet on the pier. 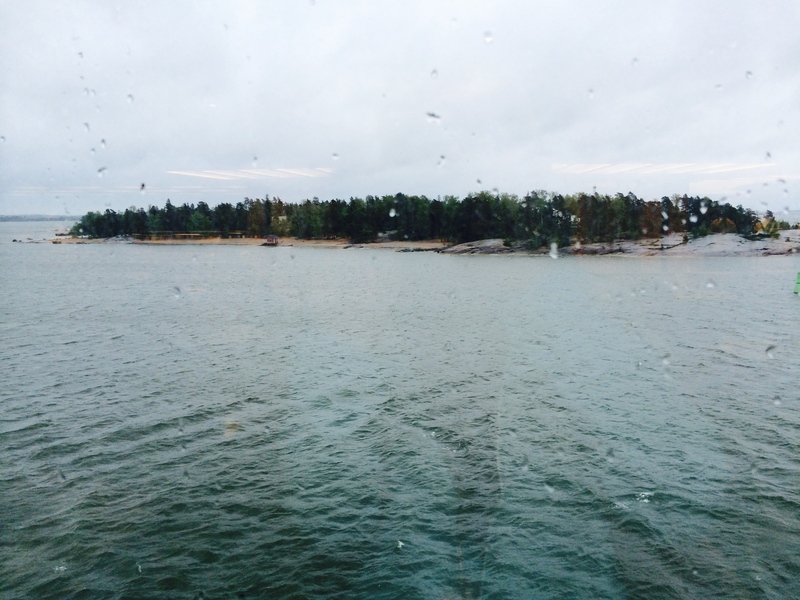 Helsinki is the perfect port for a traveler in need of room to breathe. Three wonderful days of museums and magnificent buildings in Saint Petersburg, escorted by our guides and surrounded at every stop by dense crowds, those days of claustrophobic gilded beauty left me ready for some personal space. A variety of day tours were available as well as a shuttle ride into the city. Me, I was hoofing it. A solo walk was on my personal itinerary. Besides, how much trouble could I find in Helskinki? Out the gangway, I simply began a fast walk, assuming the view of steeples on the hill would take me to the old city sites. I assumed correctly and a 45-minutes walk found me at Market Square, again surrounded by other tourists and the downtown harbor. 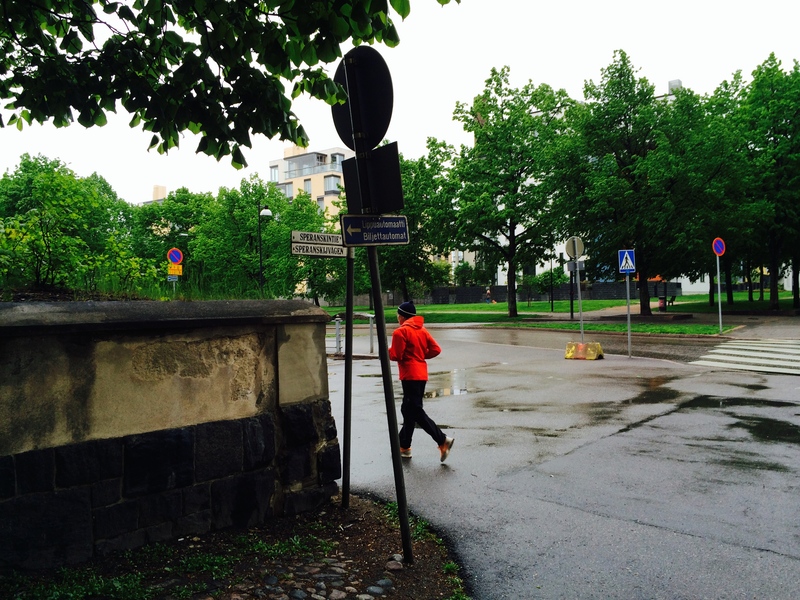 I crossed paths with a local runner, one of the few Helsinkians on the streets Ascension Day. The town was quiet with many shops closed. We had arrived on Ascension Day, an official holiday in Finland. Fortunately, outdoor markets dotting the square with local foods and handicrafts were open with tourists giving them brisk business. Around the block and the corner was Senate Square where I spotted a Hop-On Hop-Off bus stop. A couple of the outlying locations I wanted to explore suddenly seemed possible, especially since the buses ran until 5:00. 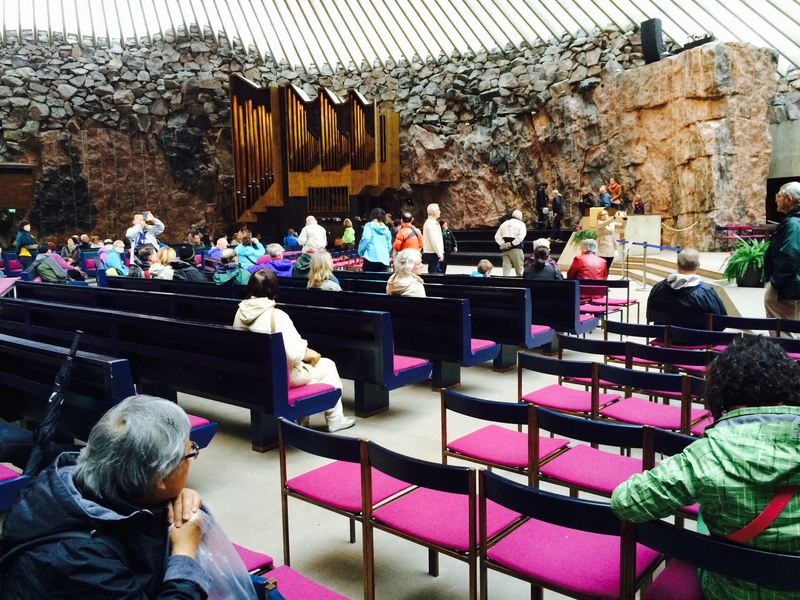 I rode the Hop-On to the Rock Church, the Temppeliaukio Lutheran Church where architects had designed a building carved from the natural rock. 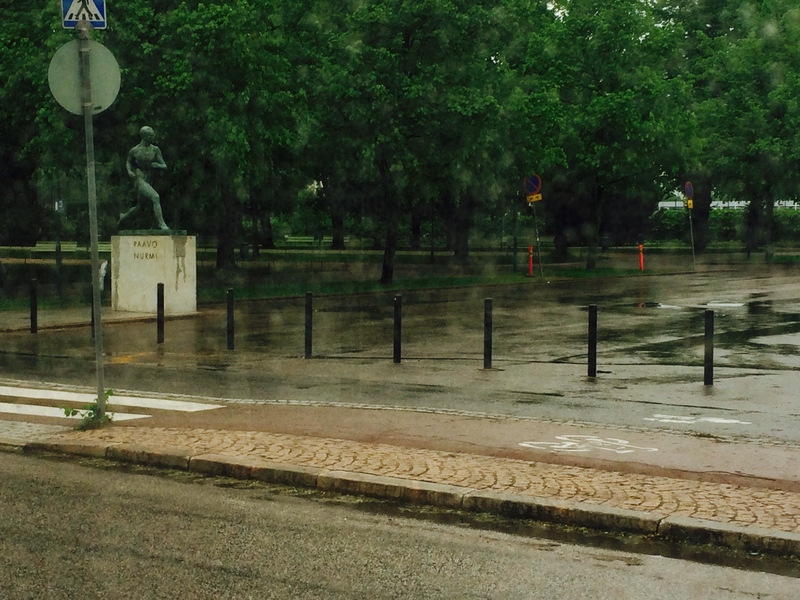 After a day mostly on foot enjoying a city full of parks and open space, I briefly visited the statue of Finnish Olympian Paavo Nurmi before engaging in my own run, a sprint to the last Hop-On bus scheduled. It was 4:00 p.m. when I learned the Hop-On bus was no longer going near my terminal. In fact after it dropped current travelers at Market Square, it wasn’t going anywhere. As it turned out, the claim that it was “running until 5:00” actually meant that all buses would be returned to the barn no later than 5:00. Quickly throwing in with a couple of other travelers returning to the same ship terminal, we flagged a cab and made it back well before ship time. A day on my own did wonders for my psyche. I was back aboard ship, ready to move on to the next port enjoying the company of my fellow voyagers. Great review, love your reports. Safe travels! Thank you. Good to hear from you. Short visit, but excellent report. Thank you, and yes it was a short visit. I heard about the carpet washing but didn’t see any of it. Just visiting your enchanting blog it was great to see the process through your seaside photos. Oh, I’d love to cruise! Sounds great! It is great. There is something about the sea that pulls the soul out with it. One of the reasons I love your posts about your seaside runs. I stumbled upon an art museum (Ateneum) where I discovered “Moomins.” Never in my life had I heard of these characters (apparently we have them in England, but having grown up in Ohio, I wouldn’t know!). The way children and adults bonded over these creatures was sweet. It was such a lovely find, and like you, it was the perfect port (and find) for my psyche. The sites stumbled upon during travels are the most memorable for me. I hadn’t heard of Moomins and just did a web search. They are delightful. What wonderful things you are experiencing! See you in NYC! Yes, and hopefully wonderful things in NYC. Next week we learn our start times. Hope to see you there.